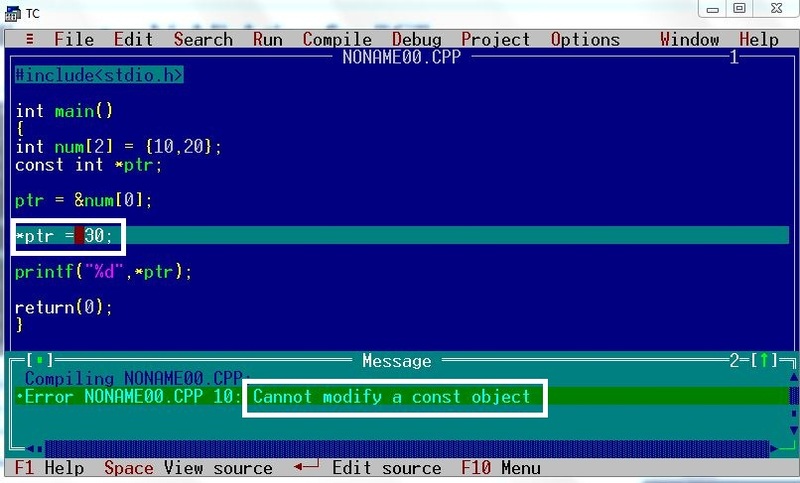 “const int” means integer is constant. We cannot change value of the integer. Pointer to Such Object cannot be changed. We can change address of such pointer so that it will point to new memory location. is valid in this Case !!! Example 1 : How const int Pointer works ?